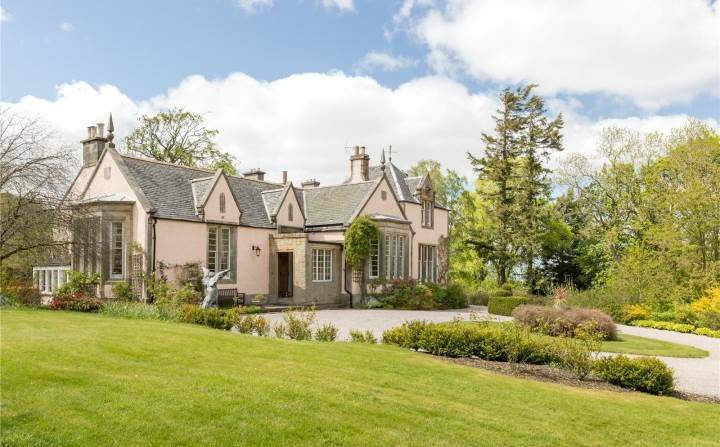 A 16TH CENTURY estate visited by Kings and Queens and said to be haunted by a gliding white lady and trapped bagpiper is on the market for £1.25m. 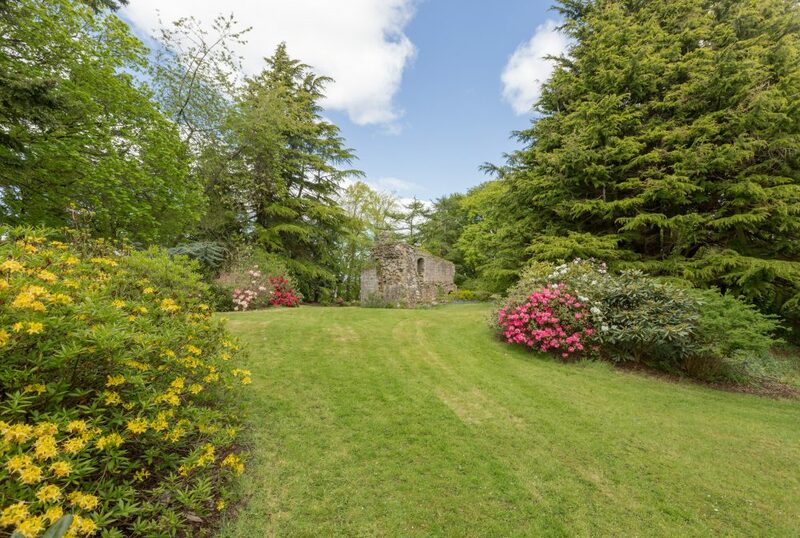 Lymphoy House in Currie, Midlothian, includes in its beautiful gardens the ruins of Lennox Tower – a 15th century tower given to the fourth Earl of Lennox by James IV. The grounds are rumoured to be haunted by the wife of a dead soldier who was shunned by his family at Lymphoy House and later died on the premises. After arriving on her in-laws’ doorstep with their grandchild and begging for help, she was apparently turned away, later dying in the snow with the youngster in her arms. Since then there have reportedly been several sightings of the “White Lady” gliding around the area. A second ghost, known as “the piper”, who was sent into an underground tunnel which connects the house and tower but never returned is also said to haunt the area. 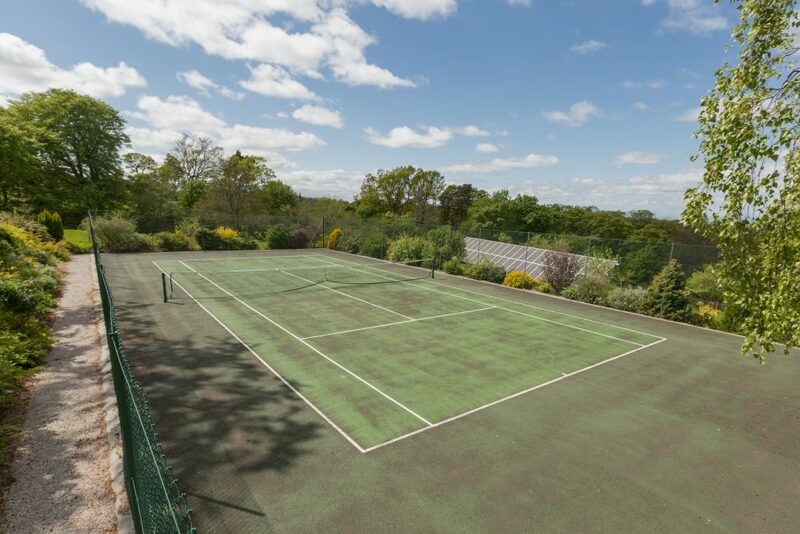 The B listed property comes with six bedrooms, six receptions and even has it’s own paddock and tennis court. 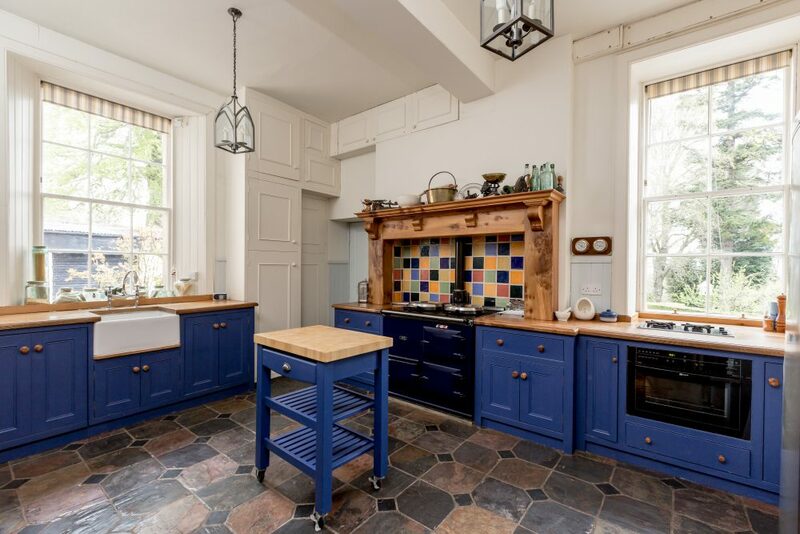 Split over two floors the property contains many features including high ceilings showcasing original cornicing and also ornate fireplaces. It has been put on the market by estate agents Savills and is listed for offers over £1.25 million. Their listing description adds: “Lymphoy House is situated in a picturesque rural area, approximately seven miles from the city centre. “The house is accessed by a private drive, owned by the Dalmeny Estate, from Kirkgate, an idyllic hamlet located on the Water of Leith. The legend of the trapped piper followed a siege in 1573, when troops located in the tower were surrounded by enemies who tried to starve them out. Unaware of the hidden tunnels, the soldiers would collect water and feed themselves by collecting fish from the Water of Leith in order to survive. A piper is said to have been sent down a tunnel in the direction of Colinton, then a village and now a prosperous suburb of Edinburgh. But at nearby Currie Brig the sound of his pipes suddenly stopped and he was never seen again. It is unknown whether the tunnels still remain within the grounds. However the tower is in such ruinous condition, it was once turned into a rock garden. 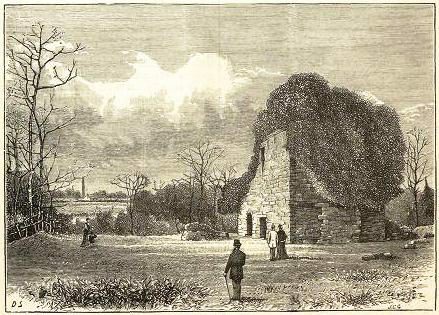 The property, built by the Earls of Lennox, was also visited by Mary Queen of Scots and used for hunting by James VI. It was later acquired by George Heriot, the founder of prestigious private school, George Heriot’s in Edinburgh’s Old Town.